A pathway or driveway covered with snow could be a potential safety hazard and depending on how thick the snow is, it could prove to be impassable. More importantly, snow does not accumulate only in pavements. It also accumulates in roofs. And as such, it could pose a real danger in damaging the structure due to weight. It can damage your car, the water features in your landscape and other areas in your property. This is the reason why snow removal and de-icing is very important not only for homeowners but also to business establishments. There are many ways by which snow may be removed. You could do it yourself or by private contractors. But it is recommended that you let professional contractors do the snow removal and work on the de-icing procedures. 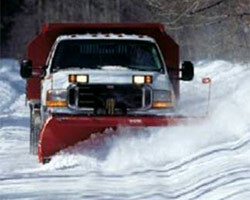 Snow removal and de-icing process may be done through the use of mechanical methods or through the application of heat. Others use a combination of both or through chemicals. The removal of snow and de-icing requires the use of appropriate tools and equipment. As these methods require expertise, it is advisable that commercial establishments and or residences as well, hire experts when doing this. Ruff Landscaping has over 20 years of expertise not only in landscaping design, maintenance and installation but also with snow removal and de-icing. Since we know that every homeowner in Illinois will usually experience harsh winter season, it is best to provide services that will solve their perennial problems. Though snow removal and de-icing can be taxing job, our team will ensure that the task is done efficiently. We also offer both residential and commercial maintenance packages as well to ensure your landscape investments are maintained. This is truly one of a kind special package that removes the burden of winter blues to residential and business owners. Our snow removal and de-icing experts are skillfully trained and are backed up with state of the art equipment that would make the process done in a breeze. We have trucks, bobcats equipped with snow blades, and walk-behind plows just to name a few. Our application of de-icing solutions is also done carefully to avoid environmental issues and prevent any further damage to your home or landscape. As a family owned corporation, we take service and care seriously. Client satisfaction is on top of our priority and that's why majority of our clients keep coming back. We can work 24/7 for any client. Working beyond office hours is not a problem for us. 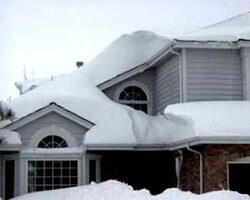 We can even remove snow at night just to prevent further damage to your property. We service practically all major cities in the Illinois area which includes Elgin, Streamwood, Hanover Park, West Chicago, Des Plaines, Arlington Heights and other surrounding areas. If you have problems with snow, ice or frost, don't hesitate to call Ruff Landscaping. We can surely solve your agony this winter season. Hire the experts in snow removal and de-icing.